It’s been a while since my last post.. Yes, I promised to write about my experiences of how I built this Hugo template, and yes, I haven’t forgotten about it. I can program quite well, but sometimes I have the impression, that I’m not using the most optimal solution. Mostly I’m lacking a general overview of what’s possible, and some search terms, so I can read more about it. So I invested the money I got for Christmas and just bought them. The package arrived today - so I can’t tell if they are good or not, yet. 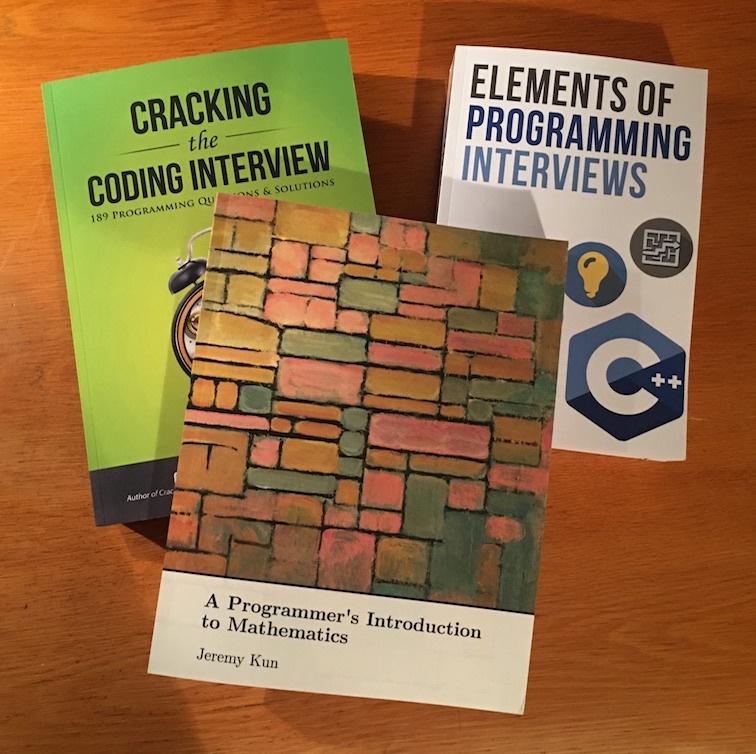 I am especially looking forward to “A Programmer’s Introduction to Mathematics” The Approach to explain mathematics via code really looks promising. Guessing from the titles you may notice that I’ll have some plans for the future. But this will be another story, to be told.. But what I can tell you right now is how I’ll spend my evening: reading!